The University of Lynchburg Choral Union will present its spring concert, “His Voice as the Sound,” April 20 at 7:30 p.m. in Snidow Chapel. Dr. Jong H. Kim, professor of music and director of choral activities/vocal studies, will conduct the concert, accompanied by Rose M. Peak. The concert will feature a collection of hymns and spirituals written or arranged by American composers such as Howard Hansen, Adolphus Hailstork, Jane Marshall, and Alice Parker. 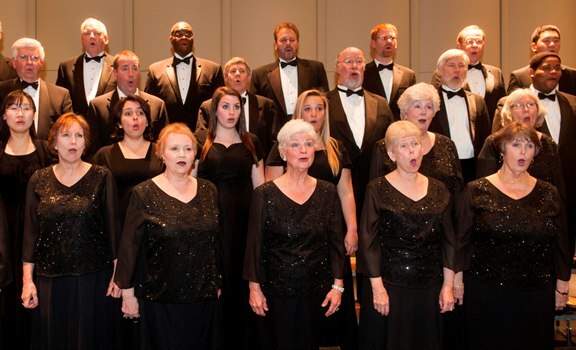 The chorus will repeat the concert on April 21 at 6 p.m. at Rockfish Presbyterian Church in Nellysford as the first in a new outreach program that will take the chorus to numerous areas in Virginia and neighboring states. Mezzo-soprano Tara Bouknight will be guest soloist. Her extensive oratorio and operatic experience includes a previous performance with the Choral Union as a soloist in Messiah. Bouknight earned a master of music education at Indiana University and a master’s degree in performance at the University of Tennessee. She is an adjunct voice instructor at University of Lynchburg. Also appearing will be baritone Derrick Thompson performing three spirituals. Thompson earned his BA degree in vocal music education from University of Lynchburg and an MA in music from Morgan State University. He served as artistic director of the Tianjin Concert Halls Mulan Children’s Choir (China) from 2010 to 2011 and made his debut as soloist with the International Festival Chorus (Beijing) and Peking Sinfonietta. He is a full-time music teacher in the Charlotte County Public School system, teaching elementary, middle, and high school music. Thompson will be accompanied by Melanie Coleman, who holds a BA in music education and a MA in conducting from University of Lynchburg. She is a music teacher in the Amherst County public school system and directs Amherst County High School choirs. The concert is free and open to the public. For more information, call 434.544.8344.